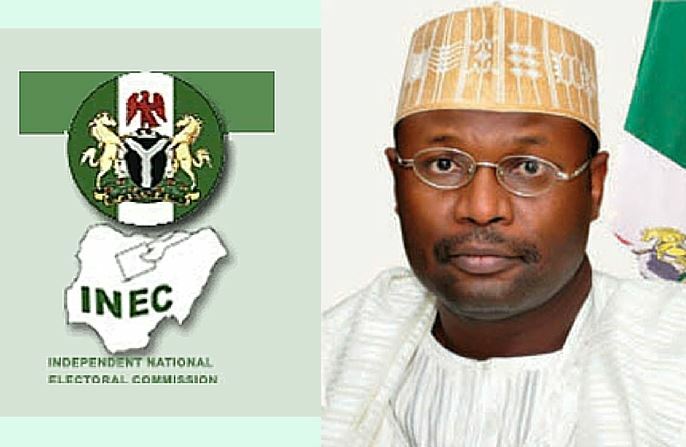 The Independent National Electoral Commission (INEC) has assured the electorate that the card readers would be deployed during the 2019 polls. Prof. Mahmoud Yakubu National Chairman of INEC, represented by Festus Okoye, National Commissioner in charge of Information and Voters Education, made this known in the national peace conference organised by Youngstars Development Initiative (YDI) in Abuja. He said that the use of card readers was in line with the extant laws on the conduct of elections in the country. The INEC boss, who stated that withholding assent to the Electoral Amendment Bill would not affect the use of card readers at the polls, enjoined the youths to take ownership of the electoral process. He ensured that INEC will put in place policies and programmes aimed at ensuring that the elections are held in a free and fair manner. He stated that INEC would not relent in its effort to ensure that eligible voters cast their ballots across the country irrespective of any security challenges. He reviled that INEC had procured special cubicles aimed at ensuring secrecy of casting of ballots on Election Day and asked the youths to embark on a vigorous campaign against vote-buying. Inspector General of Police (IGP), Mr. Ibrahim Idris, said a comprehensive arrangement had been put in place to ensure coverage of the entire polling units across the country. Also, Mr. Peter Ameh, Chairman of the Inter-Party Advisory Council (IPAC), decried the spate of vote-buying in the polity, reminded the youths on the need to vote for credible candidates that can ensure good governance in the polity. In a related vein, the INEC says it has made special provisions for internally-displaced persons (IDPs) outside the country to vote in the forthcoming general elections. It also said that it had procured over 1000 vehicles for the conduct of the elections, which would be equipped with tracking devices to avoid diversion of election materials. INEC chairman, who spoke yesterday in Abuja at a stakeholders’ validation conference on the framework for IDPs voting put together by the International Foundation for Electoral Support (IFES), gave the assurance that IDPs in the neighbouring countries of Niger and Chad who left their abode due to insurgency in the North-East would not be denied their voting rights. Adamu Kamale, a member of the House of Representatives, urged the commission to ensure proper security in the North-East so that the people would not be disenfranchised.